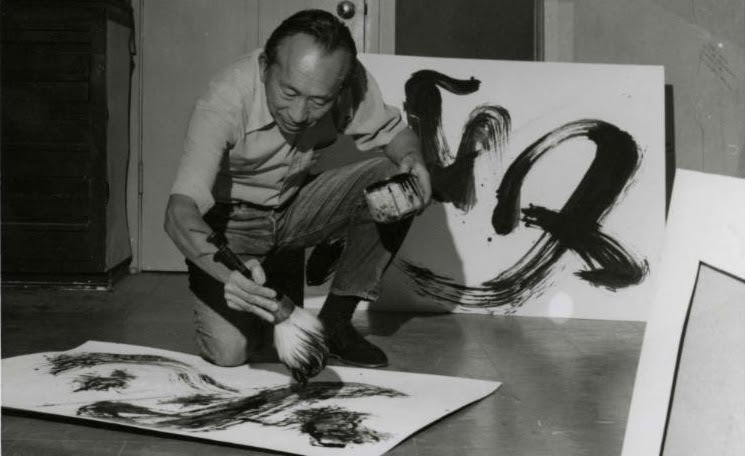 With the passing of renowned artist Tyrus Wong, the Chinese American Museum has lost a true friend and benefactor, and the world has lost one of the most influential artists of our time. Wong passed away on Dec. 30 at the age of 106. Born in Taishan, Guangdong, China, in 1910, Wong immigrated to the United States at the age of nine. His talent eventually earned him a full scholarship to Otis Art Institute. He is best known as a legendary Disney artist, whose contributions to the film, “Bambi,” lifted the animated motion picture from cartoon to art form. His limitless imagination led him to also create paintings, murals, Hallmark cards, and magnificent kites. CAM enjoyed a special bond with Wong, who in 2003 offered his work for the museum’s inaugural exhibit. Founding CAM executive director Suellen Cheng remembers Wong for his kind generosity and sense of humor. “He was well respected and loved by all of us at El Pueblo and CAM. He enlightened us by sharing his beautiful artwork through several exhibitions and always willingly taught art and kite-making to the children during the museum’s annual Lantern Festival. Tyrus Wong’s family has asked that in lieu of flowers, donations be made to the Chinese American Museum. Donations can be made online via paypal. Checks can be mailed to the address below. Please contact Kenneth Chan at 213-485-8484 if you have any questions.